It is time for the Halloween quick craft features from day 4 of Craft Lightning. Get ready for some awesome super spooky crafts that take 15 minutes or less to make. 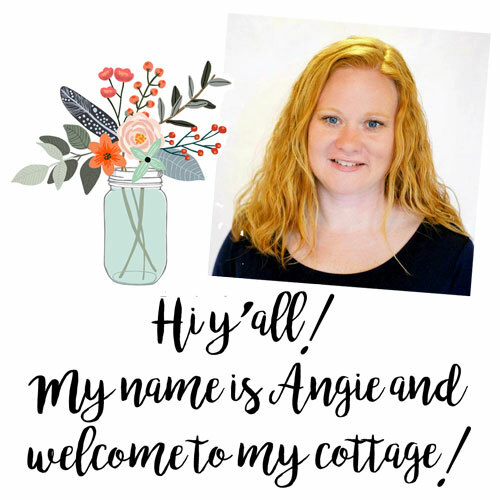 You have ONE MORE DAY to link up to the Craft Lightning linky party and get featured right here. Also don’t miss the features from day 5, day 3, day 2, or day 1. Now lets have some quick crafty fun. 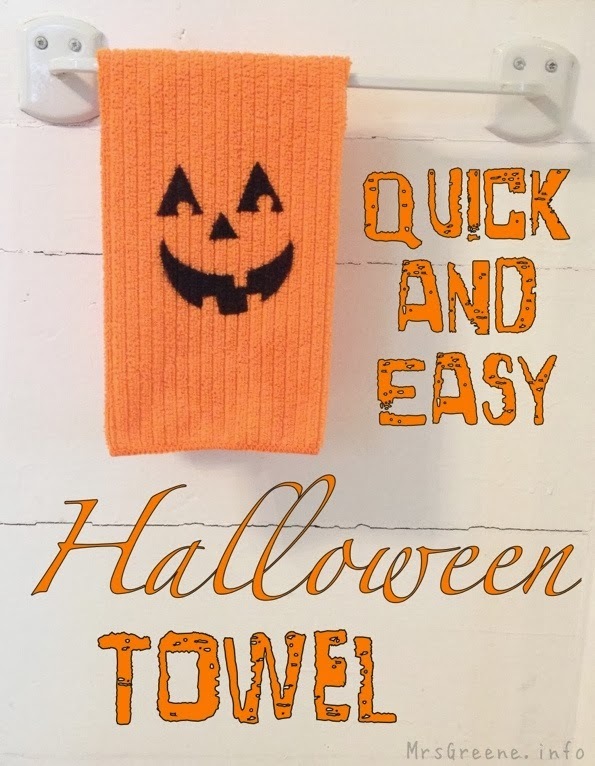 Mrs. Greene shows us how to make this jack o lantern towel in a flash. Adorable is what I say! Okay mice make me shudder. 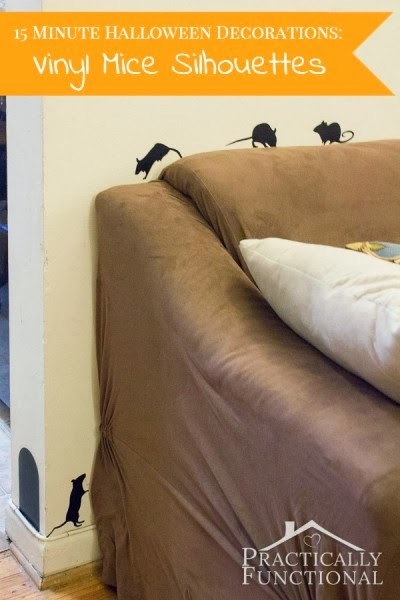 But these vinyl mice silhouettes from Practically Functional are just too cute to shudder over! 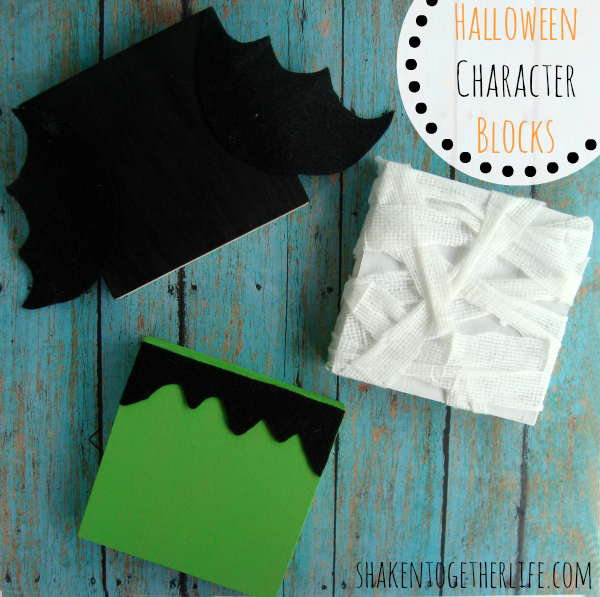 How about some Halloween character blocks like these from Shaken Together Life? I love the characters that Keri created….which ones would you make? 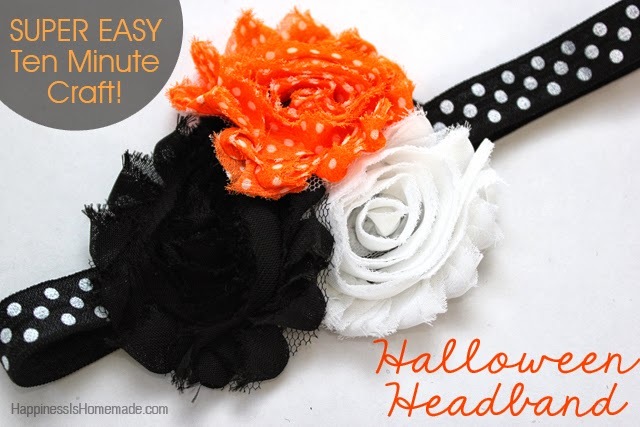 Dress for Halloween in style after you make these super easy ten minute Halloween headband from Happiness is Homemade. Make this for yourself, your daughter, to give as a special gift, or just because. 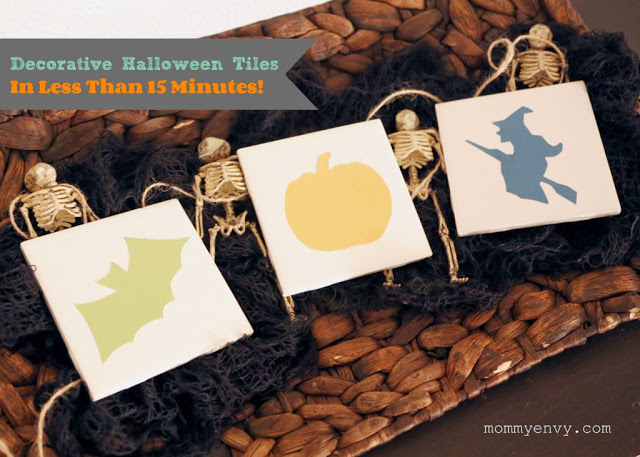 These quick and easy decorative Halloween tiles could easily turn into seasonal coasters. Get the method to make these over at Mommy Envy. 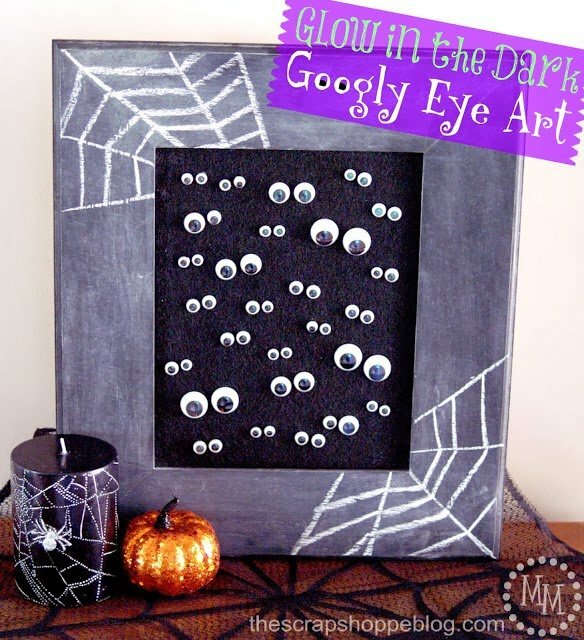 Our linky party feature today comes from The Scrap Shoppe and this awesome glow in the dark googly eye art. You really must click over just to see those eyes glow if nothing else. 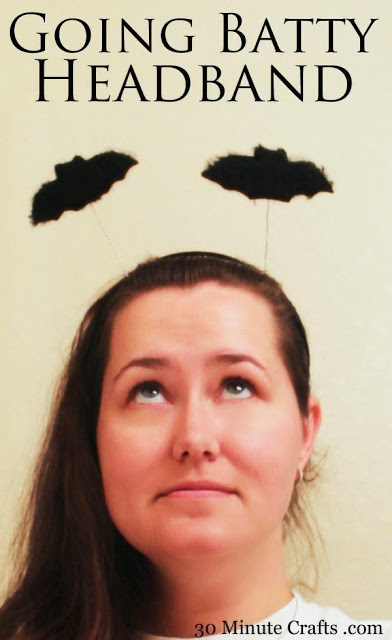 Does Halloween make you go a little batty? Show it off with this super simple going batty headband from my partner for this series Carolina of 30 Minute Crafts. Finally, just in case you missed my tutorial from this morning, I shared my 5 minute spooky eye cake pops that are made from donut holes! That is right…no baking required! Stay tuned for tomorrow as we wrap up the Craft Lightning super spooky edition. Then sometime this weekend I will do one massive post so y’all can be sure you visit all of the quick and easy Halloween crafts. Be sure to follow along with the quick and easy crafts Pinterest board for these and more quick crafts. 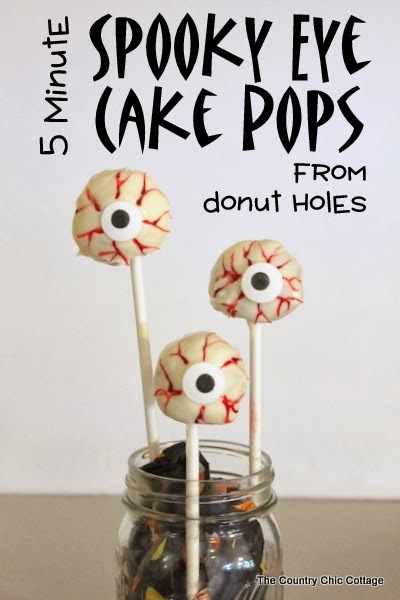 previous post: Spooky Eye Cake Pops — in 5 minutes! next post: BOO Halloween Shirt — paint your own shirt!